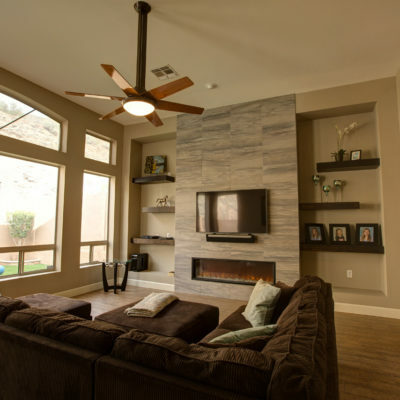 We handle all types of residential home remodeling jobs, from designing and building the kitchen of your dreams to creating your ideal back yard getaway. Have something else unique in mind? Contact us to discuss your custom project and we will work with you to realize your vision. Kitchens, bathrooms, flooring, built-in entertainment centers, cabinetry, and more. Whether your project is small or large, our expert crews can help you design and build the interior spaces you’ve been dreaming of. If you are looking to expand on your existing home, we can use our advanced CAD software to draw up plans and show you what your vision will look like in live 3D rendering. 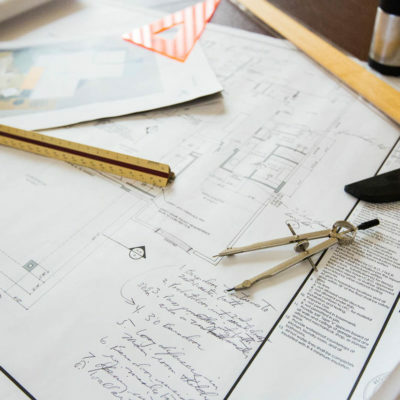 From there, our crews can build on these plans and realize a beautiful addition to your home. One of our core competencies is custom building. We love taking crazy ideas and turning them into reality for you. Whether it’s your idea or you need help coming up with an off the wall idea, we can design it and build it. We enjoy some of the best weather in the country here in the Valley of the Sun. Why not create a beautiful outdoor living space to go with it? With large pergolas to provide shade from our intense sun, our designs can expand your living space into the outdoors. 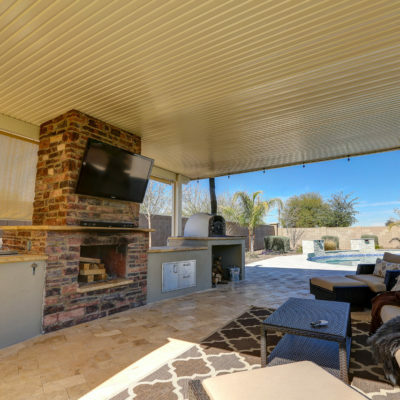 Add a pool, countertops, and outdoor kitchen to create a first class entertainment setup or put in a grass play area with cool-off misting system for the kids to enjoy. 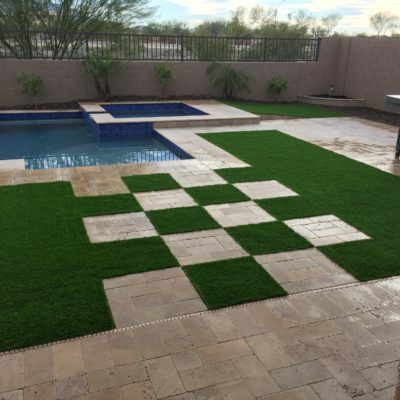 From artificial grass sturdy enough to stand up to active kids play to unique marbella tile walkways that remain cool to the touch in summer, we can help you select and install the right materials for your outdoor builds. 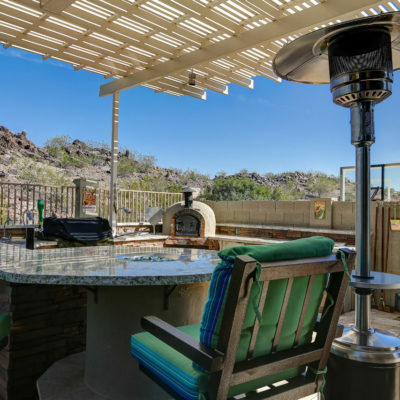 A unique focal point for many of our outdoor kitchens, a pizza or bread oven adds a delicious touch to your cooking and entertainment repertoire. Our authentic ovens can be customized to be part of any kind of design. 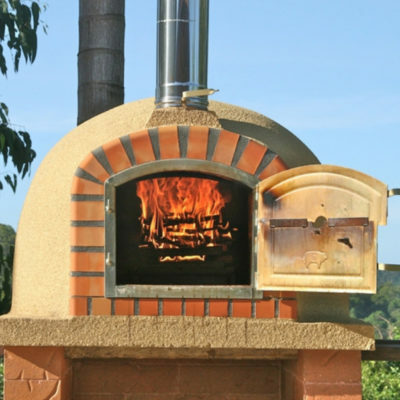 We’ll even show you how to cure and use your outdoor oven once your build is complete! Ready To Talk To Us About Your Dream Back Yard or Home Remodel? Send us a message or give us a call at (480) 270-8277. Even if you don’t see exactly what you want here, please give us a call anyway because, chances are, we can probably do it!